A Doctorate of Business Administration (commonly referred to or abbreviated as D.B.A. or DBA) is a doctorate degree that focuses on business administration at a higher level than an MBA and with a more practical, hands-on approach than a PhD of Business Administration. A DBA will also include areas of focus within the degree for a career-oriented specialization such as finance, human resources, or operations management. 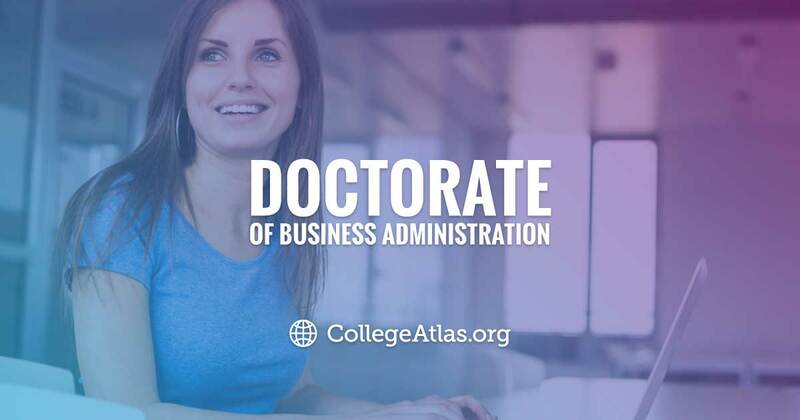 How is a doctorate of business administration different than an MBA or Ph.D. in business? A Doctorate of Business Administration program and an MBA (Masters of Business Administration) program vary in a couple of distinct ways. MBA programs focus on real-world, practiced applications of business management and knowledge and tend to have fewer specialization options or do not delve quite as deeply into the roots of those areas. A Doctor of Business Administration covers all the same information and theories as well as the practical experience of an MBA, but also teaches how to conduct scholarly research on the subject using academic journals. By obtaining a DBA, graduates are able to enter the workforce with a focus on both managing and furthering the growth of the study. Where DBA programs focus on real-world application, hands-on experience, and academic research through the creation of journals and articles, a PhD focuses more closely on academia. Ph.D. graduates are more likely to pursue and be qualified for research-based job opportunities, usually within universities or colleges, or will seek to become college professors rather than going out and joining the traditional workforce as a DBA graduate would do. On average, DBA students tend to be younger professionals who already have real-world managerial experience. How much does the program cost and how long does it take? Like any degree, a Doctorate of Business Administration program can vary greatly in cost depending on the school’s reputation and history as well as whether the school is online, public, or private. Online programs generally have a tuition below $7,000 a year, while private and public universities can cost up to and even over $100,000 annually. The average tuition cost for most major programs is slightly more than $50,000 annually. These costs are assuming a student is attending school full-time. It generally takes about five years of full coursework to obtain a DBA. Most schools offer the ability to take programs at your own pace, allowing for students to graduate up a year faster or slower, depending on their needs. What do graduates in a DBA program do and how much can they make? Career options can vary greatly for a DBA graduate depending on the specialization they choose within their field. While all graduates will have extensive business administration knowledge, students will also decide on a specialization of focus, including human resources, finance, operations management, managerial consulting, and many others. What kind of jobs can you get with a DBA?